ANCHOR: The 19th National Assembly opened on Monday after more than a month-long delay. 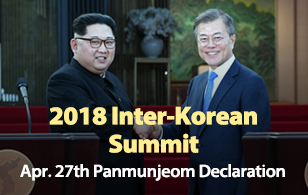 During its first plenary session, ruling Saenuri Representative Kang Chang-hee was elected speaker. Our Bae Joo-yon has more. REPORT: The 19th National Assembly held its opening ceremony at 2 p.m. on Monday and proceeded to elect Saenuri Party Representative Kang Chang-hee as the new speaker. Kang won 195 of 283 votes cast during a secret ballot to earn the designation during parliament’s first plenary session. 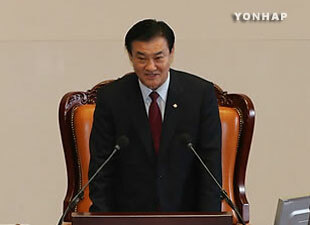 Six-term Representative Kang said in a speech that he will spearhead efforts to create a society in which the Constitution and laws are upheld and common sense is promoted. Also during Monday’s plenary session, the National Assembly elected four-term legislator Lee Byung-suk of the Saenuri Party and four-term lawmaker Park Byeong-seug of the main opposition Democratic United Party as vice speakers. Due to the Assembly’s delayed opening, ruling and opposition parties are expected to speed up parliamentary proceedings to deal with pending issues in order to make up for lost time. Lawmakers aim to establish by Thursday a special committee on a confirmation hearing for four Supreme Court justice nominees and another special committee to investigate the illegal surveillance of civilians by the Prime Minister’s Office. The National Assembly plans to convene a plenary session next Monday and elect standing committee leaders. During another plenary session on July 16th, lawmakers will act on a plan to carry out a parliamentary probe on the Prime Minister’s Office’s surveillance scandal. The Assembly will also pass a bill on July 23rd to appoint an independent counsel to investigate a now-scrapped project to build a retirement home for President Lee Myung-bak.